4K/UHD monitor with a 55" True UHD resolution and True 10-bit drivers. The 55" LUM-550M is an Ultra HD or 4K resolution monitor with a 55" native 3840x2160 10-bit LCD panel that can display full screen 4K video using a single 12 GB SDI or HDMI-2 input. 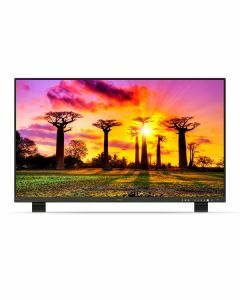 The 55" LUM-550M is an Ultra HD or 4K resolution monitor with a 55" native 3840x2160 10-bit LCD panel that can display full screen 4K video using a single 12 GB SDI or HDMI-2 input. Quad input UHD & 3G SDI 2 sample interleaved signals are also supported. The LUM-550M is designed for high-end 4K cinema & broadcast use as well as high-resolution industrial, military,medical and CAD design applications. The LUM-550M can also up-scale a FHD sinal to full screen. It offers the industry's most advanced features and video processing.